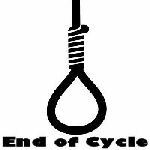 Scientology refers to death as "dropping the body" and suicide is called "ending cycle". How can an organization that calls itself a church be the cause of suicide? Believe it or not, you can find so many references of suicide directly related to Scientology that you would be reading for days and not get through them all. Why do people in the "church" commit suicide? After all. isn't Scientology supposed to make the "able more able"? As far as I have been able to determine, there are two main causes. First, there is disillusionment. A person has given so many years, all of their money, basically their whole lives, only to find out that it was a scam. They feel so used and embarrassed that they see suicide as the only way to feel better. The second is caused by the diabolical Scientology process called the "sec check", or security check. There are some security checks in Scientology that are designed only to break your mind. I know. I have been through it. In my case, it left me feeling so dirty that I thought I would never be able to wash away the evil that they had made me feel was in and on me. I have been out for almost eighteen years and this still affects me. Today we will speak for the dead with the voices of the people who knew about the cases. No, she went in there and she grabbed the vault, that's what happened. DO: Why did that happen? MH: She wasn't allowed to leave the property to go see her husband and her family. And she wasn't being allowed to go, she was basically being held captive there, like every other person at the INT base. But she was new to the INT base, and she has been only in there for a few months. And she was basically, "I can't take this anymore." And she even threatened and told other people that she was depressed, she was separated from her husband who worked in Los Angeles. Her own father is one of the lead litigation attorneys for the church, Ken Moxon. And he still fights for the church, even though that happened to his daughter. And he doesn't even know that there was a note. But he still fights for the church, his daughter is dead, because she wasn't allowed to go down and see them. was then hospitalized in critical condition. He left a suicide note blaming Scientology, attached hereto in Exhibit 80, a copy of a GO report. (b) Leah Theriery. She attempted suicide sometime in May 1974, attached hereto in Exhibit 81, a copy of a GO report. (c) A friend of Gerald Simon's who was a Scientologist, attempted suicide by drinking a full can of RAID insect killer because he had been ordered to disconnect from his girlfriend. 200. I saw many Scientologists and Sea Org members go crazy and/or suicidal, like myself, while getting auditing. This young Russian-studies scholar had jumped from a 10th-floor window of the Milford Plaza Hotel and bounced off the hood of a stretch limousine. When the police arrived, his fingers were still clutching $171 in cash, virtually the only money he hadn't turned over to the Church of Scientology, the self-help "philosophy" group he had discovered just seven months earlier. The purpose of sending the PC folders to the Guardian's Office where a person had been designated SP or Fair Game was to use the contents of the folders to attack, threaten, blackmail and control the person and thereby prevent the person from seeking to collect refunds of moneys paid to the Church or to prevent the person from exposing the Church activities. The Church regularly and as part of its policy uses the material in these folders to blackmail and control its members in this way. I personally observed this done on numerous occasions contrary to the promises made to Church members. In one case, the Church declared a person named David Sandweiss an SP and threatened to expose auditing information revealed to his auditor by him if he sued for a refund or sought in any way to expose the Church problems. He thereafter committed suicide. 45. I received instructions directly from Ray Mithoff to use the Hubbard Tech of thought reform to drive Tom Ashworth to a psychotic break. The express object of the exercise was to drive Tom crazy and to commit suicide. I've not seen anything mentioned at whyaretheydead or anywhere on the internet about Dale Bogen's suicide while she was on services at ASHO back in Nov 1984. Does anyone remember her or the situation? I was out of town for 2 months and when I came back I asked around ASHO if any one had seen her. The D of P told me to speak to the Dir I & R, Bobby Schaffner, who I knew pretty well. I said," Bob, What's going on with Dale Bogen? The D of P told me to ask you." He asked me to step in and close the door, which I did. Now, my 1st thought was this: I knew that she was getting auditing but I also knew she was a petition-approved pc so I thought maybe something changed on that and asked him. I knew he'd be straight with me. "No, she was a pc" on a rundown that is sometimes given to people who are overwhelmed and unable to proceed in processing but she'd committed suicide after leaving the org one night back in November (1984). I was shocked. Here it was over a month later I did not know how to respond. This was, for me, the 3rd unexpected death of a Scientologist in over 1 year. It was so unreal. I could not imagine Dale doing something like that but then again, I did not know every personal thing about her. I asked how she died and how did he find out. He said the police contacted ASHO when they found her because she had receipts and some books in the car. He said she took her car way up the main road in the Los Angeles Mountains, parked and plugged up the exhaust line with a rag or something and then got back in the car and went to sleep with the engine on. He knew nothing else. I put my 'KSW (Keeping Scientology Working) hat' on and I asked him if he made sure her folders got to Qual for rev and correction. He said "yes", but we both knew at that time that nothing was predictable and 'what was supposed to be and what actually happened were often 2 different things' . We just looked at each other and I could tell he was not the happy Bob I'd all come to know in the past. He looked so tired. We chatted for a few minutes about other things and I left. I finished up my cycles in Los Angeles and returned home shortly thereafter, seemingly blocking the whole thing out until I got news that Bobby had died after he'd struck a truck with his motorcycle on June 05,1987. Philip Chandler Gale (1978, Los Angeles, California – March 13, 1998, Cambridge, Massachusetts) was a pioneering internet software developer and computer prodigy, an avid musician, and a Scientologist for most of his early life. Gale earned roughly a million dollars worth of stock options for his innovative internet service provider (ISP) programs at EarthLink, a firm established and bankrolled by members of the Church of Scientology. Gale chose Friday, the thirteenth of March (L. Ron Hubbard's birthday) as the day he wanted to commit suicide, falling to his death from a classroom window on the fifteenth floor of a building on the Massachusetts Institute of Technology campus. Several years earlier, he had left the church after deciding Scientology was not for him. Shortly before his suicide, Greg left a post on the OCMB Message Board. In it he said , “I was declared for objecting strenuously to some things that I saw as so out tech, off policy, out KSW that it broke through the fog and I refused to go along with it. I “enturbulated” so many people I was declared despite the fact my Comm-Ev agreed with me. I enturbulated them too, I was told. I was shocked to find myself on the street with nothing. I begged to be allowed to do the RPF. After many appeals and reviews I developed some serious medical problems that I knew would prevent me from getting up the bridge or back in the Sea Org this life time. “Scientologists believe there is no such thing as death, you are a thetan occupying a meat body. I decided my only choice was to drop the body and pick up another one. I was not suicidal, it just seemed like the only logical thing to do. I didn't tell anyone. I decided to wait until my children (whom I had abandoned to my ex to join the Sea Org years before) were grown and independent, because we had become close and I knew it would hurt them to be abandoned again. “Meanwhile, I went back to finish my degree, and got on the internet. I found Clambake and couldn't stop reading. There were so many stories of people I knew! Clambake and all the people who cared enough to tell their stories and make the truth about Scientology available on the Internet saved my life. But Scientology’s abusive mind-control had damaged him beyond repair and left him with no way forward or back. After several thwarted attempts, Greg killed himself in June 2001 at the age of 46, leaving a wife, a 17-year old son and a father to mourn him. Part of this story is less attractive. Greg was one of the Scientologists most involved in the attack on CAN Cult Awareness Network), targeting individuals with black PR. This opens up the question of how commands to do harm are passed down within Scientology, to be followed with such fidelity by individuals whose every natural tendency is to do the opposite. In a press conference held a while back, Nancy Many, author of "My Billion Year Contract" says that when Greg's wife was in negotiations for settlement with The church of Scientology, they caught her alone, without any lawyer, or friend or person, and a very down spot and offered her a pittance. She goes on to say that when she was given the form to sigh there was a line that "I will never speak to the press or write a book about what happened to my husband". And she refused to sign it and said, "I might write". The Scientologist that was giving her the pittance of a check said, "Oh that's ok, I'll just cross out that line because who would want to hear about your husband anyway. Who would ever care, or read about the death of a Scientologist". Thanks Tory. I think I would rather be declared. I never knew that about Ken Moxon's daughter, Greywolf. Every day, something new. And he still fights scientology's battles for them? More excellent research from you in to the dark underbelly of this organisation. My heart bleeds for the lost ones and their families. Thanks Betty. There are so many stories, I don't know if I will live long enough to post them all.